A few things to look out for in the west after sunset this month. 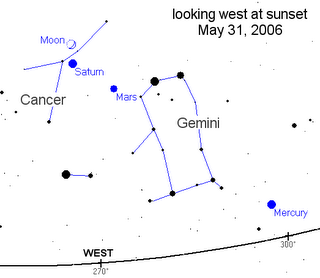 As Tony Phillips of NASA and Spaceweather.com puts it.. "Something remarkable is about to happen in the evening sky. Three planets and a star cluster are converging for a close encounter you won't want to miss."